Established in 2006 by a group of computer science students who received several national IT awards for their search technology developed while still in college, Naiscorp is one of the leading Vietnamese companies in the field of intelligent data processing and online value-added services. The company’s flagship website, Socbay, is a robust Vietnamese-language search engine that addresses the local market more accurately and powerfully than Google. Currently, Socbay serves up to 80 million queries per day. 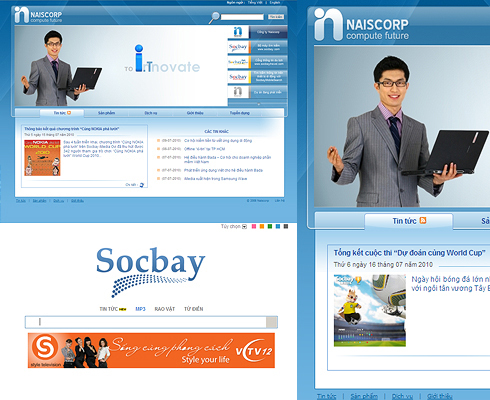 Socbay iMedia is Vietnam’s first search engine adapted for mobile phones and dominates its market segment. NaisCorp is also developing a travel portal, Socbaytravel, in cooperation with Vietnam’s Ministry of Culture and Information, the Department of Trade and Industry Vietnam and Intel Corp.